← Is this really July? ‘Blazing summer means a short, brown autumn’ was the headline in the newspaper today. And here is further visual confirmation of the consequences of the UK’s recent heatwave. Leaves are already dropping – dead, burnt, fried. My previous Post, click here to view, showed the evidence, and today’s image was taken on the same short walk. The newspaper article went on to explain that a warm slightly moist summer is best for a good autumn display of foliage because trees need a healthy balance of sun and rain to produce sugars, which create the colours in their leaves. It quoted a forestry commission director: “unless there is some rain soon autumn will be brown and crispy and much less colourful. It may all be over by September.” What a dismal prospect. We have had a day of very welcome rain, but that seems to have been just an intermission, the heat is now re-building with no sign of imminent rain. 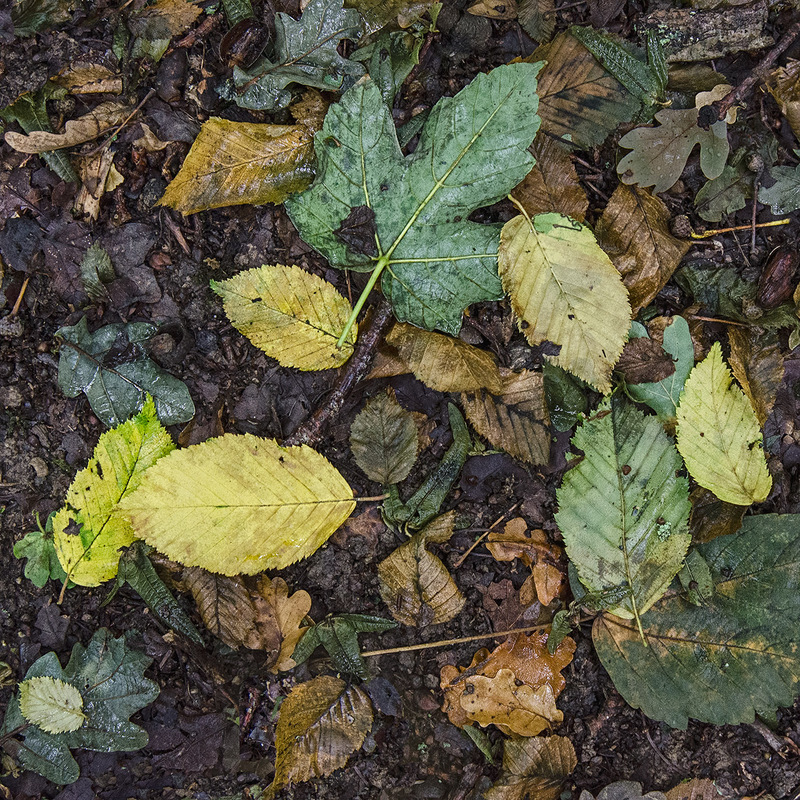 This entry was posted in Autumn and tagged Autumn, Fall, Leaf fall, Leaf Litter, Photography. Bookmark the permalink. We have a spot here in Texas called Lost Maples, which contains an isolated stand of big tooth maples. It provides stunning, New England-like color in the fall if conditions are right. But it’s always hard to predict what will happen. Too much rain, too much warmth, an early cold, a bit of drought, and things can turn bad almost overnight. Last year, they were predicting one of the best shows in years. When they publicized their best guess as to when the color would be at its peak, I made plans and headed up to the park. But the weather had turned, the leaves had begun dropping without turning color, and only five days after a glorious show had been predicted, there was very little to see. I’ve timed it right once, and it was glorious. One of these years, I hope to see it again — and I hope things straighten out in your part of the world, too! The vagaries of the weather and its effect on the Fall! I have occasionally thought that it would be great to see the Fall up in New England, and then thought again that I could spend a lot of money on the trip and hit the wrong dates! My experiencne is that spring and Autumn are very difficult to predict. My archive of images shows how the first flowering of a particular species can vary by as muich as a month. I have to say it – the weather may disappoint, but your photos do not. You really are doing such beautiful things with these leaf litter images – this one has a quality I can’t put my finger on, but it’s wonderful. Thank you so much Lynn. Sometimes one hits the sweet spot with processing, and then forgets exactly what steps achieved that effect!